Our client came to us with an old site that worked visually, but didn’t offer the ease of navigation for users. 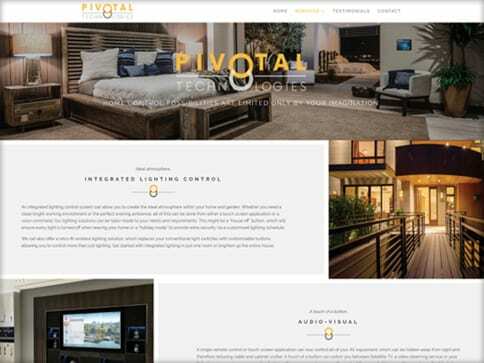 What they do as a company was somewhat allusive to the immediate eye, they wanted a new site that didn’t compromise on visual impact but delivered on navigation and user-friendly content. 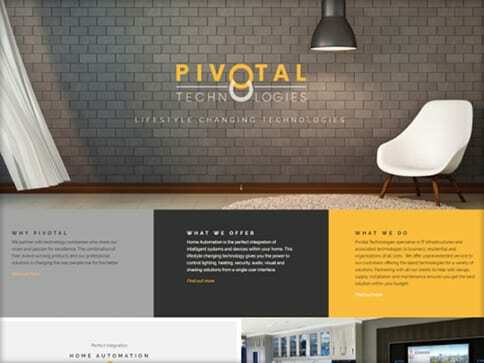 Pivotal Technologies hold an outstanding reputation for quality and extensive technical knowledge. We created a site to showcase the precision and upmost professionalism that features in their work. The services the company offers range from homes, large businesses, and luxury markets. This diversity needed to be accommodated for in the overall design of the new project. The site’s structure is dynamic in design, with high resolution images that anchor the sites informative content. We wanted to make sure the client’s brand was established visually and informatively to create a seamless user experience. 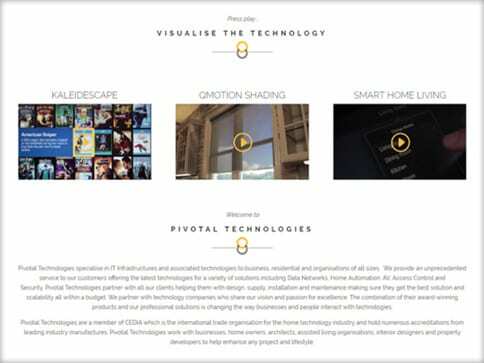 Bright yet elegant, the site is visually striking yet professional whilst being beautifully responsive across all devices.